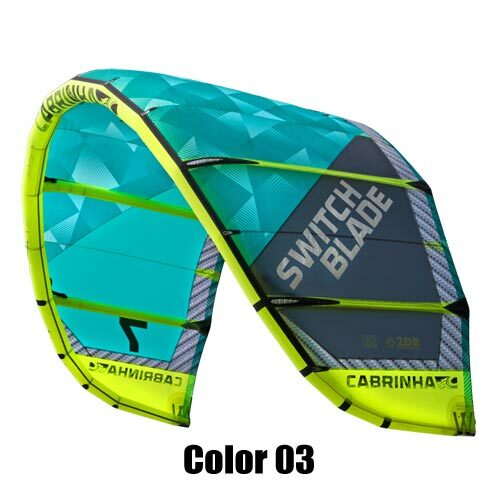 The 2015 Cabrinha Switchblade celebrates its 10th anniversary and ten years of refinement to be held as the ultimate crossover/freeride kite. For 2015 the Switchblade receives some minor tweaks including some minor canopy and bridle tweaks. Some of the goals this year were for a little lighter bar pressure, better steering, and to make it easier to ride in lighter winds with less stalling. Also to keep the traditional park and ride characteristic that has been synonymous with the Switchblade from the start. Allowing you to just dive the kite once and go, then just park it out on the horizon. The success of the Switchblade can be found in its uncommon blend of high performance and ease of use. The Switchblade will easily crossover from freeride, to freestyle, to surf on any given day. The common element in each of these riding styles is precise handling; and this is where the Switchblade shines. The Switchblade provides maximum control with a light bar touch. 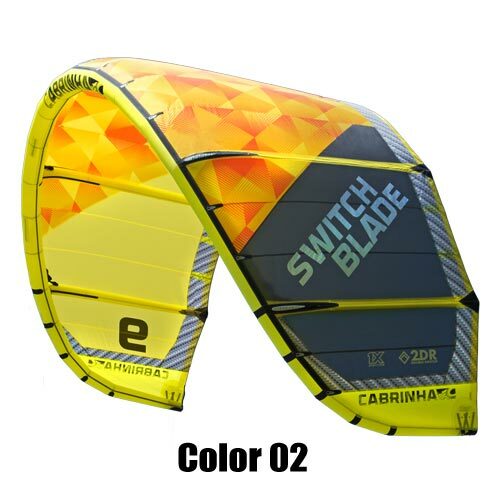 The Switchblade high performance profiles deliver the power needed in light winds and the ability to dump the power in strong winds. This gives the Switchblade the type of range needed to extend your sessions when the winds are up and down. The five strut design holds the canopy true to its shape regardless of the wind condition or angle of attack. + Bridle refinements for improved flight stability and agility. + New strut to leading edge connection. + New rounded LE end closures ensure a true finish without deformation. + Extra long 30cm 2-ply on the leading edge bladder ends. + New “Absolute mirror” construction ensures the kite flies straight and true to the design. I've tried everything and if you're considering buying a kite the Cabrinha Switchblade is the one! This Kite does everything well! It has great range, great water relaunch and is an incredible jumper! I really like the new 2015 control system because it is much easier to use and the safety system is much less complicated. Resetting the safety is effortless and intuitive. Also the specially coated flying lines makes setup easier and there is much less tangling. One of the big things you will notice when riding this kite is the upwind ability. Usually when a kite gets overpowered it will not climb to the edge of the window and depower. Even when this kite is super powered it flies all the way to the edge of the window and easily depowers. No matter what the angle of attack is, the canopy retains its shape, remains wrinkle free and does not lose turning performance. The kite is extremely maneuverable and stable even when it's outside of its range. 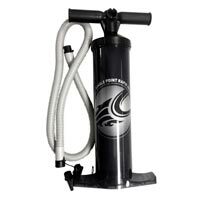 Ease-of-use and reliability make the Switchblade a perfect choice for any rider! It is also one of the most durable products that I've ever used. The canopy is super bomber and the Sprint inflation system is extremely reliable. 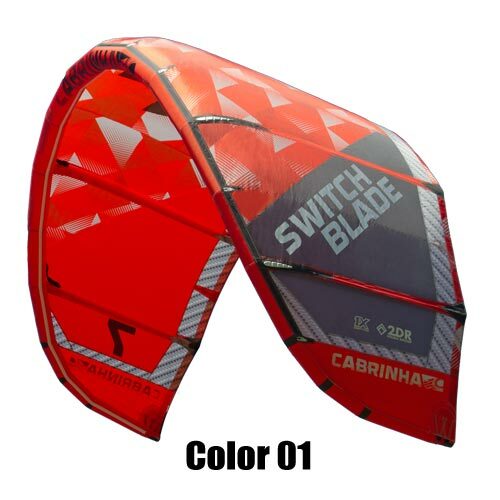 I ordered the 2015 Cabrinha Switchblade 12m complete with the Overdrive 1x control bar...The next day it felt like Christmas when it arrived. The Aqua and Green color is sick looking! I can't wait for wind to get in the water. I get all my gear at Jupiter Kiteboarding they always have the best gear at the best price out there! Thanks Jupiter Kiteboarding! !